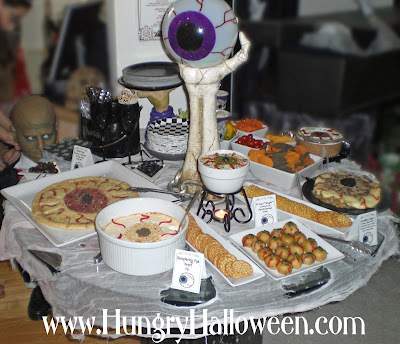 The year we hosted our Dead Man's Diner Party. See how I created fun EYE shaped appetizers for our party, by clicking here and heading over to my new HungryHappenings.com site. I love the appetEYEsers idea! What a great spread.